Do you want to know what strengths and weakness your Myers-Briggs personality type may have? When making decisions do you lead with your head, gut, or heart? When stressed are you most likely to get anxious, angry, or depressed? Looking into what enneagram type you have will give you the answers and more information on your personality. An enneagram is another layer in the psychology of personality. 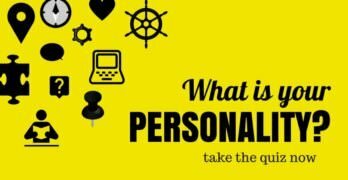 It gives you in-depth information on your personality and helps people to better understand an overall pattern in human behavior. There are nine enneagram types The Investigator, The Loyalist, The Adventurer, The Leader, The Peacemaker, The Perfectionist, The Helper, The Achiever, and The Romantic. The chart shows what number each enneagram is given and its qualities. The chart also shows the negative aspects of each enneagram and the Myers-Briggs type it is most likey to correlate with. Just as with the Myers-Briggs types, you can take a test to see which enneagram type you are. If you have researched what enneagram type you may have but are still having trouble on deciding which exactly it is, this chart can be very useful. 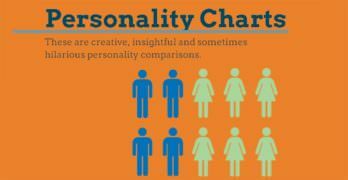 Although we have some elements of all nine ennegram types, this chart helps to pinpoint which type you may identify with most when compared to your Myers-Briggs type. It’s important to remember that the enneagram and Myers-Briggs type associations of this chart are not set in stone. There are INTJ’s that can be Romantics and ENFP’s that can be Perfectionists, it is unlikely but it does exist. Human personality is so diverse and the psychology behind it is fascinating. Not only is it fun to learn more about yourself and others but it is very useful as well. The more you learn the easier it will be to type others and learn how to better interact with those close to you based on their types.